Gov. 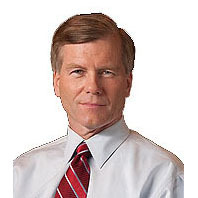 Bob McDonnell on Wednesday ceremonially signed House Bill 321 (Massie) and its companion Senate Bill 131 (Stanley) to establish the need-based Educational Opportunity Scholarship Tax Credit for K-12 students. The tax credit is equal to 65 percent of the donation, with an annual cap of $25 million from the state. The governor was joined by education advocates, teachers, school administrators and legislators. The legislation goes into effect on July 1.